Reliable from the first mark to the last, this office standard writes with ease, providing crisp, clean lines. Oil-based ink dries quickly, ensuring smear-free performance. 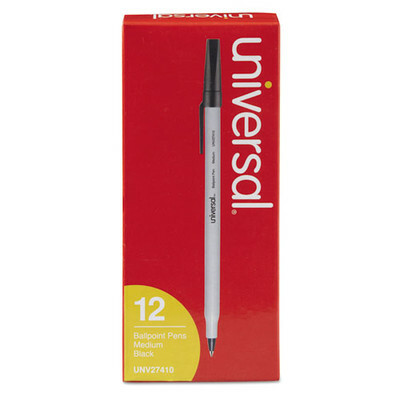 Pen Type: Ballpoint Pen; Pen Style: Stick; Refillable: Nonrefillable; Special Ink Type: Oil-based.